Is a Facebook payment system nigh? 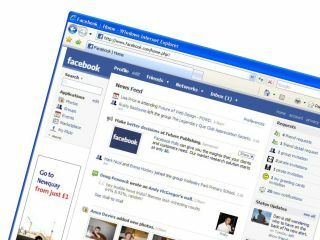 Reports are rife at the moment that the makers of Facebook are set to announce some sort of payment system on the site. While this could mean that users may be able to start paying a monthly charge for premium content, it looks more than likely that the payment system will be used to pay developers who create successful applications. Eagle-eyed users of the site first spotted the signs that the site was gearing up for money exchanges when the US address for Facebook changed from http:// prefix to a https:// prefix – with the 's' standing for secure. If the rumours are true, then Facebook looks set to have its own type of App store that has proven to be incredibly successful so far for Apple. The announcement of what Facebook will actually use the payment system for is likely to be announced at the upcoming f8 developer's conference, alongside the official unveiling of Facebook Connect.